Here&apos;s a general rule: the more parents are involved in their kids&apos; lives, the better the results usually are. Naturally, San Francisco Bay Area school districts are taking this truism to new heights. San Jose&apos;s Alum Rock Union Elementary School District may soon require parents to volunteer at least 30 hours per academic year — or face a potential slap on the wrist or call from the principal. While the potential legislation can easily be criticized (what about dual working parents? ), administrators might consider another option to encourage more parental involvement: make schools smaller. New research suggests that when school sizes increase, parental involvement may decrease. The study found that parental "free-riding" (relying on others to volunteer) increases slightly when their children make the transition from smaller middle schools to larger high schools. When schools are smaller it may add incentives — such as peer pressure — to get parents engaged in volunteering. In parsing the sample from the older National Educational Longitudinal Study — one of the few long-range, data rich resources widely available to researchers — assistant professor Patrick Walsh of Vermont&apos;s St. Michael&apos;s College focused closely on statistics of parental involvement and school size. His study uses this data to follow the same families as their children progress from middle to high school. The study found that when school enrollment doubles, volunteer rates among parents can decrease up to 5 percent in these larger schools. There are many theories about why this could be: larger schools may leave parents thinking that their opinion at a parent teacher organization won&apos;t make a substantive difference, or parents may believe that volunteering may make less of an impact on their child in a larger setting. "If volunteering helps everyone&apos;s kids, then many parents will hang back and simply enjoy the fruits of other&apos;s involvement," Walsh stated. "But when everyone does that, you end up with very little volunteering." Nationwide, about 89 percent of parents reported attending a general school or PTO meeting in 2007. This number decreased for parent&apos;s of high school students to about 83 percent, in line with the numbers from the study. This small decline could be attributed to a "hands off" approach parents may take as children mature, but Walsh contends that the longitudinal approach of his study accounts for these "unobserved" characteristics. "These pressures also decline at larger schools, which can be more anonymous," wrote Walsh. "If everyone blends into the crowd, the benefits of looking public-minded are lower, as are the costs of looking selfish." 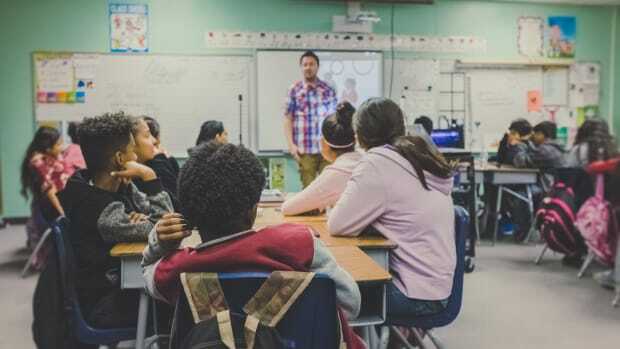 According to the study, parents tend to get involved in schools to ensure a certain benchmark of quality is met, but are less inclined to volunteer to make good institutions even better. While the "simplest" solution to get more parents involved is to decrease the size of many schools, Walsh admits that this may be a pipe dream. He did offer that, "even in schools that are already large, administrators could divide the student body into &apos;schools within a school,&apos; each with its own assistant principal, possibly with distinct themes and activities." Administrators in San Jose may not have this luxury; instead they&apos;re gambling that parental involvement is just as beneficial to children when it&apos;s mandated. Patrick Walsh&apos;s research will appear in the Economics of Education Review, Vol. 29. A conversation with Integrated Schools founder Courtney Everts Mykytyn about why parents trump policy when it comes to putting integration into practice. While being involved in your children’s lives and studies is intuitively (and statistically) smart, some techniques are better than others. A new NEA study finds disadvantaged students do better academically if they are intensely involved in the arts. A collaboration between UCLA and the Los Angeles school district aims for the kind of bilingual excellence that's common in Europe.